Human resources, like every other field, is susceptible to changes and trends. While hiring trends in the past were geared more towards attracting top talent, current trends are focusing more on efficiency in the hiring process, driven in part by technological advancements. As recruiters and hiring managers find new ways to redistribute the more tedious and time-consuming aspects of finding and hiring new talent, they will be able to focus more on strategy. The goal is to make the traditional interview process more inclusive, less biased, and less time-consuming. Traditional interviews have limited capabilities in assessing soft skills and weaknesses. How a candidate would perform the job cannot be determined from answering a few questions. Interviewers can consciously or subconsciously allow their personal bias to affect their assessment of a candidate. Proper interview attire or a captivating personality can feed into the assumption that a candidate is more capable for the position. In addition, traditional interviews are time-consuming, especially when the interviewer doesn’t know the best questions to ask. 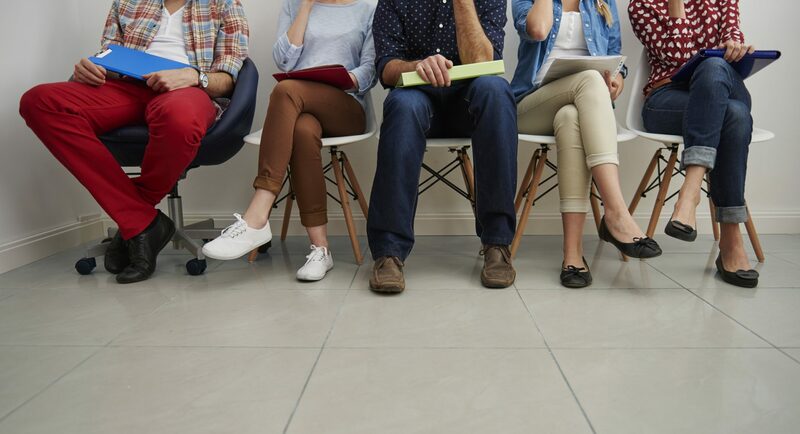 There are ways to improve the traditional interview process. One is to streamline the interview using HR software programs. These programs can create interview scripts and standardized interviews across a pool of candidates that can also help eliminate personal bias. Online skill assessments are designed to gauge soft skills like teamwork and curiosity. Skill assessments provide more information on a candidate’s strengths and gaps before an interview is even scheduled, allowing the interviewer to be more selective earlier in the hiring process. Another way to make most of the interview process is to hold a “job audition.” A job audition involves the hiring company paying candidates to do real work so that they can observe them in action to get a better idea of how the candidate thinks and applies their skills and experience to the job. Diversity has become a priority in just about every industry. With an increasingly diverse public, lack of diversity is now a liability. Companies that don’t adapt and actively seek diversity will experience a disadvantage as talent pools shrink. More diverse teams have higher engagement, productivity, and innovation. However, despite the advantages, truly diverse hiring continues to be a challenge. Many recruiters and hiring managers state that they can’t find enough diverse candidates which can be attributed to not knowing where to look. To tackle this challenge, companies are branching out their talent sourcing and using nontraditional recruitment methods to find diverse talent. Companies must also ensure that their company culture reflects diversity as it not only attracts more diverse talent but keeps it once hired. Opening up positions that do not need to be carried out in an office enables companies to broaden their pool of candidates. With their talent pools more open to job seekers everywhere, companies are provided with a more expansive search with access to candidates with varying backgrounds and experience that adds to diversity within the company. Hiring for remote positions puts more emphasis on talent than an applicant’s geographic location. New and developing technology allows companies to set up remote work environments to expand their candidate search. Digital collaboration and video conference tools make remote work viable and less likely to decrease in use anytime soon. Remote employees are also more likely to put their best effort into their work out of appreciation for the freedom to work from anywhere and from knowing that their company trusts them to work independently without the watchful eye of a supervisor or manager. Companies that employ data and analytics show higher productivity and profitability. They now use data to create talent intelligence strategies and to ensure their new hires stay employees. The data trend is rooted in using the volumes of information available to make both hiring predictions and decisions. The challenge within this trend is using information in an efficient way that enables real-time employee engagement and development. Artificial Intelligence (AI) and automation platforms harness the power of data to make more astute recruiting decisions for recruiters and hiring managers. This technology also can create predictive models using candidates’ information to compare to past hires and current employees. Artificial Intelligence (AI) has begun to streamline the recruiting and hiring process. AI helps assess candidate compatibility, skill set, and so on. This provides a short list of screened candidates to interviewers, making it a huge time saver. Chatbots are an application of AI that can also save time by taking over time-consuming manual tasks along with engaging with candidates. It also eliminates systemic bias. While artificial intelligence makes the jobs of recruiters and hiring managers easier, it will not be replacing them anytime soon, if ever. Soft skills, such as relationship building and negotiating offers, are least likely to be replaced by AI. AI will allow human resources personnel to focus more on strategy and the soft skills needed to create emotional connection and build relationships. Hiring trends that will move companies forward into the future will focus on efficiency, expanding and diversifying their talent pool, concrete data to make and support hiring decisions, and artificial intelligence to make the most out of data and save valuable time. It’s not about replacing existing resources but streamlining and maximizing them.